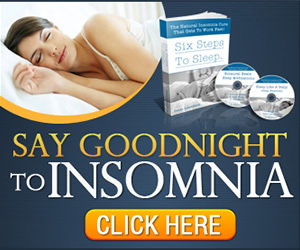 Looking for a Natural Solution to Insomnia? So many patients at our office suffer from insomnia. Unfortunately, most of them rely on medications to “help them” sleep. I feel that relying on something un-natural to make you go to sleep is just not beneficial. People believe that they need these medications and they get downright nasty if they don’t get their refills in time before they run out! I understand how desperate people can get after not having a full nights sleep for several nights and not being able to function during the day when they need to work and get through daily activities. Unfortunately, when they turn to their medical doctor, they usually suggest a prescription sedative or anti-anxiety medication. Some people have been relying on these prescription sedatives for years, even decades! Ambien, or Zolpidem, the most popular one, has some extreme side effects called parasomnias such as sleep- eating, sleep-driving and various other activities while sleeping. One patient told me that he was given a prescription for Ambien by another doctor and he tried it once. That night he woke up behind the wheel of his car in a 7-11 parking lot and didn’t remember how he got there! He told me he went home and immediately dumped the rest of the pills in the garbage and refused to ever take it again! I recently learned about Sleep Hygiene from a man who also once suffered from insomnia for many years. His name is Peter Litchfield and he has done an incredible job of researching proper natural techniques to train your body to fall asleep and stay asleep for 7 hours or more a night, restoring the body back to health and vitality using a system he calls 6 Steps to Sleep. Check out his site and you can learn about an amazing sound technology technique of listening to “Binaural Beats” embedded into soft relaxing music to entrain your brain to slow down its brainwave frequency. It’s amazing stuff and he will explain the science behind it. All you need are earbuds or headphones and listen. It’s a form of meditation, but much easier! ← Are you Tired of Using NSAID’s?